This week's charts, with data taken from February 12th, 2009, find Sonic's Ultimate Genesis Collection off to a strong sales start on the Xbox 360 and PlayStation 3 in its debut week in North America, while Mario & Luigi RPG 3 leads portable sales in Japan. North America: 1. Wii Fit (Nintendo), 2. Rock Band 2 Special Edition (EA Games), 3. Mario Kart Wii (Nintendo), 4. Wii Play (Nintendo), 5. My Fitness Coach (Ubisoft). Japan: 1. Wii Fit (Nintendo), 2. Taiko no Tatsujin Wii (Namco), 3. Mario Kart Wii (Nintendo), 4. Another Code:R - Kioku no Tobira (Nintendo), 5. Wii de Asobu: Mario Tennis GC (Nintendo). UK: 1. Wii Fit (Nintendo), 2. My Fitness Coach (Ubisoft), 3. Wii Play (Nintendo), 4. Mario & Sonic at the Olympic Games (Sega), 5. Family Ski (Namco). Wii Fit returns to head this week's Wii software sales in North America. Though Amazon reports that the title is currently out of stock, aftermarket prices have decreased considerably in recent weeks, with many third-party sellers posting prices only slightly higher than MSRP. The instrument peripheral-bundled Special Edition of Rock Band 2 also ranks as one of this week's top Wii titles, thanks to renewed availability of the once hard-to-find bundle version. Mario Kart Wii and Wii Play continue as top sellers in North America, while Another Code:R - Kioku no Tobira and Wii de Asobu: Mario Tennis GC remain popular in Japan. North America: 1. Call of Duty: World at War (Activision), 2. Halo 3 (Microsoft), 3. Sonic's Ultimate Genesis Collection (Sega), 4. Gears of War 2 (Microsoft), 5. Left 4 Dead (EA Games). Japan: 1. Left 4 Dead (EA Games), 2. Street Fighter IV (Capcom), 3. Tales of Vesperia (Namco), 4. Dead Rising -- Xbox 360 Platinum Collection (Capcom), 5. Call of Duty 4: Modern Warfare (Activision). UK: 1. Left 4 Dead (EA Games), 2. FIFA 09 (EA Sports), 3. Call of Duty: World at War (Activision), 4. F.E.A.R. 2: Project Origin (Warner Bros.), 5. Call of Duty 4: Modern Warfare -- Game of the Year Edition (Activision). Call of Duty: World at War returns to the top Xbox 360 sales spot in North America this week, following Halo 3's victory in last week's results. The 16-bit retro compilation Sonic's Ultimate Genesis Collection makes a surprisingly strong debut this week, meanwhile, beating out competition from popular titles like Gears of War 2 and Left 4 Dead. In Japan, Street Fighter IV has sold through its entire initial shipment at Amazon.co.jp, leaving Left 4 Dead to pick up its slack. Tales of Vesperia also performs well in regional sales this week, as does Capcom's Dead Rising. North America: 1. Sonic's Ultimate Genesis Collection (Sega), 2. LittleBigPlanet (SCEA), 3. Call of Duty: World at War (Activision), 4. Grand Theft Auto IV (Rockstar), 5. Metal Gear Solid 4: Guns of the Patriots (Konami). Japan: 1. Demon's Souls (SCEI), 2. Street Fighter IV (Capcom), 3. Ryu ga Gotoku Kenzan! -- PlayStation 3 The Best (Sega), 4. Fallout 3 (Bethesda), 5. World Soccer Winning Eleven 2009 (Konami). UK: 1. LittleBigPlanet (SCEE), 2. Call of Duty 4: Modern Warfare -- Game of the Year Edition (Activision), 3. FIFA 09 (EA Sports), 4. Resistance 2 (SCEE), 5. Motorstorm: Pacific Rift (SCEE). Sonic's Ultimate Genesis Collection also makes a remarkable debut this week on the PlayStation 3, as Amazon reports that the PS3 edition of the title outperformed longtime platform favorites LittleBigPlanet and Call of Duty: World at War in weekly sales numbers. Grand Theft Auto IV moves up a spot to take fourth place in this week's results, as Metal Gear Solid 4 falls to fifth. Elsewhere, Street Fighter IV comes up short against the reigning Japanese chart champion Demon's Souls, as LittleBigPlanet remains the PS3's most popular title in Europe. North America: 1. Shin Megami Tensei: Persona 4 (Atlus), 2. Madden NFL 09 (EA Sports), 3. God of War (SCEA), 4. Metal Gear Solid: The Essential Collection (Konami), 5. Ar tonelico 2: Melody of Metafalica (NIS America). Japan: 1. Kidou Senshi Gundam: Giren no Yabou - Axis no Kyoui V -- Special Edition (Bandai), 2. Kidou Senshi Gundam: Giren no Yabou - Axis no Kyoui V (Bandai), 3. Hokuouki (Idea Factory), 4. Persona 4 (Atlus), 5. Ryu ga Gotoku 2 -- PlayStation 2 the Best (Sega). UK: 1. SingStar: ABBA (SCEE), 2. Ben 10: Alien Force (D3 Publisher), 3. SingStar Singalong with Disney (SCEE), 4. FIFA 09 (EA Sports), 5. Tomb Raider: Underworld (Eidos). Persona 4 retakes the top PS2 sales position in North America this week, as Madden NFL 09 and God of War follow close behind. Interestingly, the upcoming action-RPG Shin Megami Tensei: Devil Summoner 2: Raidou Kuzunoha versus King Abaddon currently heads regional platform sales; prerelease demand for the title was so high that Amazon was recently forced to close preorders. It's unknown whether any additional stock will become available for purchase at the online retailer after the game's release in May. North America: 1. F.E.A.R. 2: Project Origin (Warner Bros.), 2. World of Warcraft: Wrath of the Lich King (Blizzard), 3. Call of Duty: World at War (Activision), 4. Left 4 Dead (EA Games), 5. Fallout 3 (Bethesda). Japan: 1. Left 4 Dead (Zoo), 2. Final Fantasy XI: The Vana'diel Collection (Square Enix), 3. Danzai no Maria (Karin Entertainment), 4. Clannad Full Voice (KEY), 5. Monster Hunter Frontier Online Season 4.0 Premium Package (E Frontier). UK: 1. Football Manager 2009 (Sega), 2. F.E.A.R. 2: Project Origin (Warner Bros.), 3. World of Warcraft: Wrath of the Lich King (Blizzard), 4. The Sims 2: Double Deluxe (EA Games), 5. Spore (EA Games). F.E.A.R. 2: Project Origin debuts as this week's biggest-selling PC title in North America, beating out the previous multi-week sales champion World of Warcraft: Wrath of the Lich King. Call of Duty: World at War returns to the regional top five this week, meanwhile, as Left 4 Dead and Fallout 3 make another strong weekly showing. North America: 1. Mario Kart DS (Nintendo), 2. New Super Mario Bros. (Nintendo), 3. Brain Age (Nintendo), 4. Club Penguin: Elite Penguin Force (Disney), 5. Brain Age 2 (Nintendo). Japan: 1. Mario & Luigi RPG 3 (Nintendo), 2. Meitantei Conan & Kindaichi Shounen no Jikenbou: Meguri au 2-Jin no Meitantei (Bandai Namco), 3. Rhythm Tengoku Gold (Nintendo), 4. Wagamama Fashion: Girls Mode (Nintendo), 5. Pokemon Platinum (Nintendo). UK: 1. Professor Layton and the Curious Village (Nintendo), 2. Dr. Kawashima's Brain Training (Nintendo), 3. Mystery Case Files: MillionHeir (Nintendo), 4. More Brain Training (Nintendo), 5. Junior Brain Trainer (Avanquest). As Club Penguin: Elite Penguin Force sees a gradual slowing in weekly sales, Nintendo's franchises remain as popular as ever. Mario Kart DS and New Super Mario Bros. take the top two sales spots, while Brain Age moves up to take third. Japan finds new sales leadership in the just-released Mario & Luigi RPG 3, meanwhile, as last week's chart winner Meitantei Conan & Kindaichi Shounen no Jikenbou: Meguri au 2-Jin no Meitantei drops to second place. North America: 1. LocoRoco 2 (SCEA), 2. God of War: Chains of Olympus (SCEA), 3. 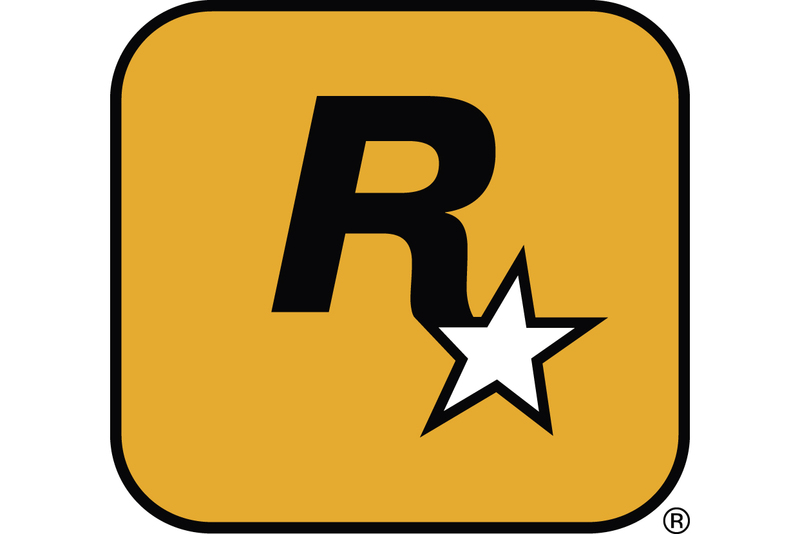 Grand Theft Auto: Liberty City Stories (Rockstar), 4. Syphon Filter: Logan's Shadow (SCEA), 5. Sega Genesis Collection (Sega). Japan: 1. Tales of the World: Radiant Mythology 2 (Namco), 2. Monster Hunter Portable 2nd G -- PSP the Best (Capcom), 3. World Soccer Winning Eleven 2009 (Konami), 4. Eiyuu Densetsu no Kiseki Set (Nihon Falcom), 5. Dissidia: Final Fantasy (Square Enix). UK: 1. FIFA 09 (EA Sports), 2. God of War: Chains of Olympus (SCEE), 3. Football Manager Handheld 2009 (Sega), 4. Lego Batman (Warner Bros.), 5. Call of Duty: Roads to Victory (Activision). Sony's budget-priced LocoRoco 2 disrupts the previously stagnant PSP charts this week in North America, where the title debuts as the portable platform's top seller. Last week's PSP sales champion Star Ocean: Second Evolution falls out of chart range, meanwhile, as demand for the recently released console compilation Sonic's Ultimate Genesis Collection spurs new demand for the two-year-old Sega Genesis Collection.